In this article i will share with you how you can start your dropship business for FREE by creating a facebook page with shop , that you could sell your dropshipping products . Facebook Page is by far the most comprehensive platform that anyone can use to promote and sell products . Video below will guide you step by step on how you can open a facebook page for your business . Alright , so i assume that you already created your first dropshipping business page on facebook . 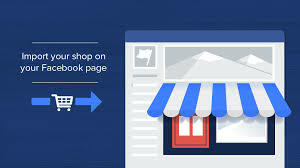 The next thing you need to do is to install facebook shop into your page. Alright , i hope that you got your facebook page and shop set up , and now lets promote your shop .